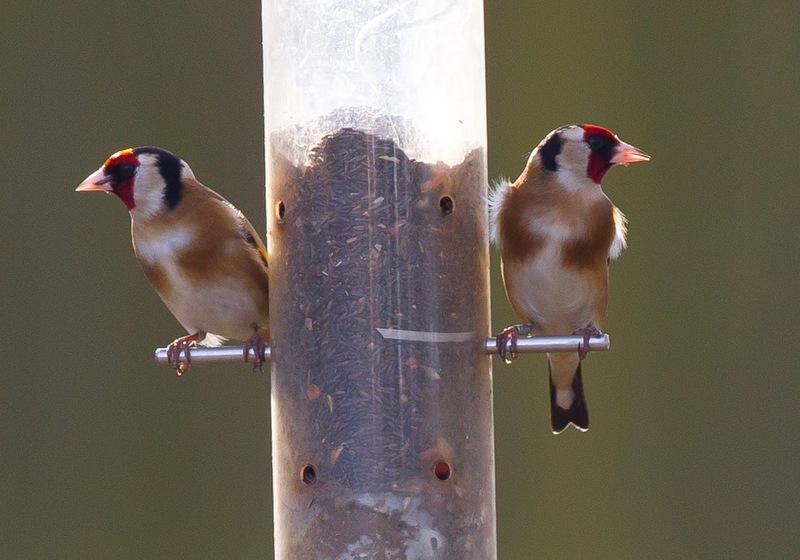 There's a site near me that is fantastic for birds! Actually that's a lie and I shall explain why in this post. The truth is there's a site near me that would be incredible for birds if it wasn't for a few sections of society. 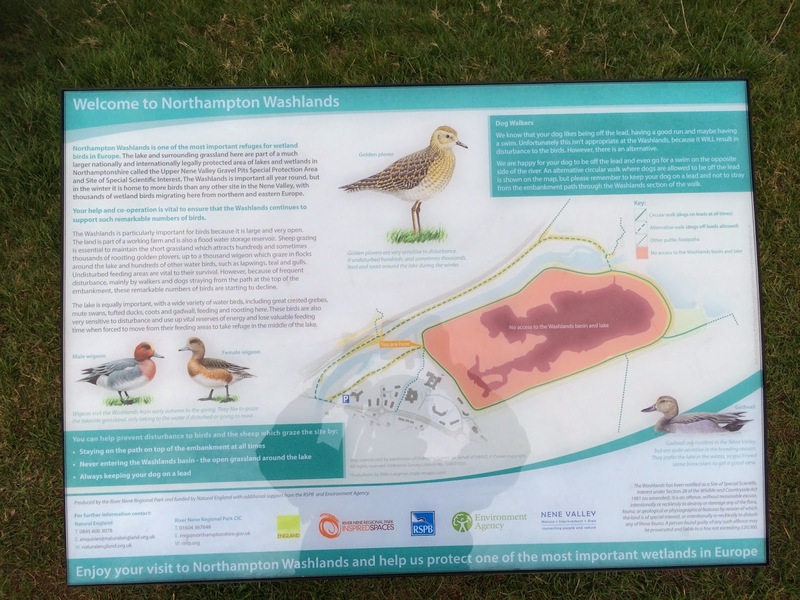 The Northampton Washlands (otherwise known as Clifford Hill Gravel Pits to local birders) is a large wetland area which includes a large lake in the centre of an even larger basin. It is designed to act as a barrage lake for the nearby river Nene in order to prevent flooding in periods of heavy rain and in some years the sluices are opened nearly filling the basin but for most of the time the area is absolutely perfect for birds! Large expanses of shoreline provide a valuable habitat for waders, the lake itself holds important numbers of wildfowl, the adjacent hedges seem to be very popular with passing migrants (it doesn't seem a year goes by without Redstarts, Wheatears and Whinchats on the fences) and the large flat expanses of floodplain are very appealing to Golden Plovers. Unfortunately though not everyone seems to appreciate the need for disturbance to be kept to a minimum. A footpath leads along a short section of the eastern edge but the rest of the site has been opened up with permissive access along the top of the basin but this doesn't seem to enough for a lot of the people that use the area for dog walking or general recreation. For years we have watched people wander down into the basin with a blatant disregard to the chaos it causes. In fact not only have I watched people standing there open mouthed while the flocks of birds take off and whirl around them but I have witnessed countless times people driving their dogs towards them scattering the geese in terror while their owners stand there laughing. I even witnessed one women using her phone to film her dog doing it! Now I appreciate certain dog owners maybe reading this with outrage so lets make one thing clear. I love dogs! I was brought up around dogs and it was taking my parents dogs for a walk that got me into wildlife watching in the first place when I was a child. I love meeting dogs when I'm out even if they do jump up and make me muddy - it absolutely doesn't bother me. What does bother me though is when despite there being miles upon miles of footpaths leading across fields and recreational areas people insist on letting their dogs off the lead when on a nature reserve, especially when there are signs people have to pass telling them NOT to let the dogs off the lead! 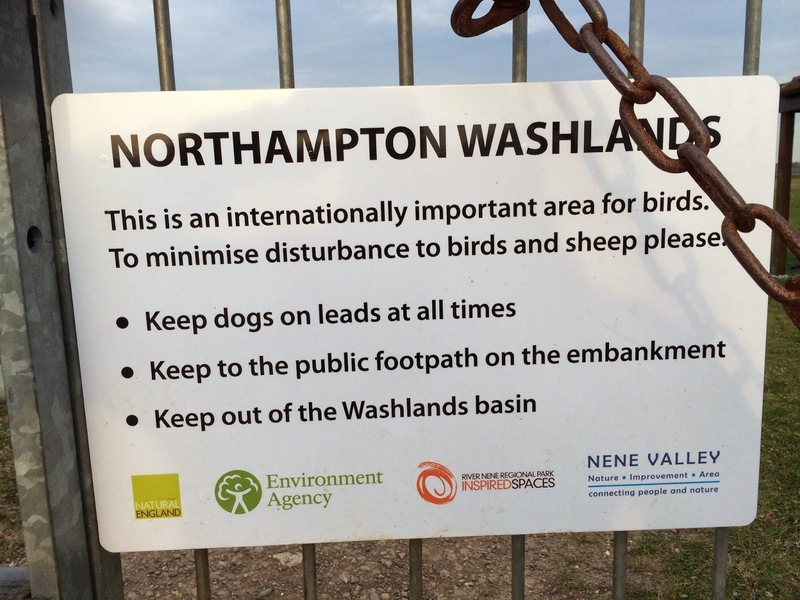 It's a real shame as not all dog walkers here at the Northampton Washlands are like it but I regret to say it's most of them. Of course it's not just the dog walkers so I don't want to be accused of singling them out. Part of the areas rules also includes not walking into the basin but I have witnessed walkers, runners, cyclists, kite and model aircraft flyers doing just that and also swimmers and people in boats in the water in warm weather. I genuinely have no idea what goes through these peoples minds when they do it. I know of a lot of birdwatchers that simply won't bother coming to the Washlands because of the level of disturbance, and to put it mildly sometimes I wonder why I bother too. You could be birding patiently on the bank one minute only for someone to walk down the bank and send all the birds scattering in all directions. Trying to remain calm despite the rage that can be building up inside truly tests the nerves! So why am I bringing this up now? This has after all been happening for years but a couple of things brought a glimmer of hope but it looks like it doesn't seem to be working. Firstly work has been carried out at the site to really improve the wader scrapes and make the habitat even better for the birds so surely if people see money being spent they'll realise this place must be pretty special? Secondly even bigger signs have been put up than the previous ones and some of these even include pictures showing the people who obviously have difficulty reading the error of their ways! To show the depth of feeling for this important habitat the signs were actually paid for out of a local chaps back pocket! It is so frustrating to think that despite all these efforts they all seem to be getting ignored. The signs explain how important the area is to nature and even shows local footpaths where you can let your dog run as free as the wind aswell as telling you the areas where they must be kept on a lead (ie on the reserve). They even use colours showing the basin shaded in red so you know where not to walk! They even include telephone numbers so you can ring someone up and they can talk you through it! One set of signs has been placed on the entrance gates and others have been placed at a slant infront of you so you have no excuse not to see them! Have these steps worked? No they haven't! This evening (19/03/14) during the hour I was there I saw 3 groups of dog walkers and none of them had their dogs on a lead. I even watched one couple walk up to the reserve along a path in an area you can let the dog run free with their dog on a lead - they opened the gate to the reserve (a gate with the words "keep dogs on lead at all times") and promptly let their dog off. They walked around the reserve with a wander down into the basin (also not allowed) before returning to the bank while their dog ran everywhere. They eventually got back to the entrance gate, opened it up and you guessed it they put their dog back on a lead and walked away. I know lots of dog walkers that would be horrified by this behaviour but for some reason at the Northampton Washlands it's normal and I can't understand why. Is it ignorance? Stupidity? Or just a "don't care" attitude believing they don't have to comply with the rules that makes them do it? Is it a feeling that they don't cause any long term disturbance? Well I can tell you, in fact quite a few people can tell you that they do! Most people visiting the site do one lap, which takes about an hour. So perhaps they feel that in that time they're not doing any damage if they head into the basin or let dogs run free etc. As a birder though I may stand there for hours and I watch group after group of people all doing the same thing and during this time I watch the birds being flushed time and time again before they invariably have enough and fly off. If someone can explain to me why the below signs are hard to understand I'll be glad to tell the person who put them up but they look pretty simple to me. Over the years we have unfortunately watched watched the wintering Golden Plover numbers decline and the main reason for this is the constant levels of disturbance. It's sadly not just here either, local reserves have also encountered the same thing with one reserve suffering mortality of it's livestock to a dog attack. The other thing of course is the irresponsible walkers and dog owners out there often act aggressively when challenged, which of course means not challenging them is the safer option, perhaps these are also the people that consider it to be ok to throw their dog poo bags into the bushes before they get back to the car or leave empty Coke bottles laying around when they've finished with them! The really unfortunate thing is though is most of the ramblers/cyclists/dog walkers I meet elsewhere are perfectly responsible. The countryside should be there to be enjoyed by everyone. I apologise for this rant as this blog is normally kept a simple diary but sometimes things just need to be said! Let's hope through education and awareness we can come to some solution but depressingly I don't think it will happen. So what's the answer? We have a choice as to where we spend our time but the wildlife doesn't have that privilege and needs all the help it can get. Perhaps we should just close the place down to everyone, including me, and leave it to nature. I'd rather see that than let it carry on the way it is! It's been a while since the last post and now I think it's time for a catch up. The recent spell of good weather has made winter (well what we had of it) seem a long time ago and a lot of butterflies are already being seen. To start this post though we shall head back to the 23rd of February when a touch of local birding came up trumps. 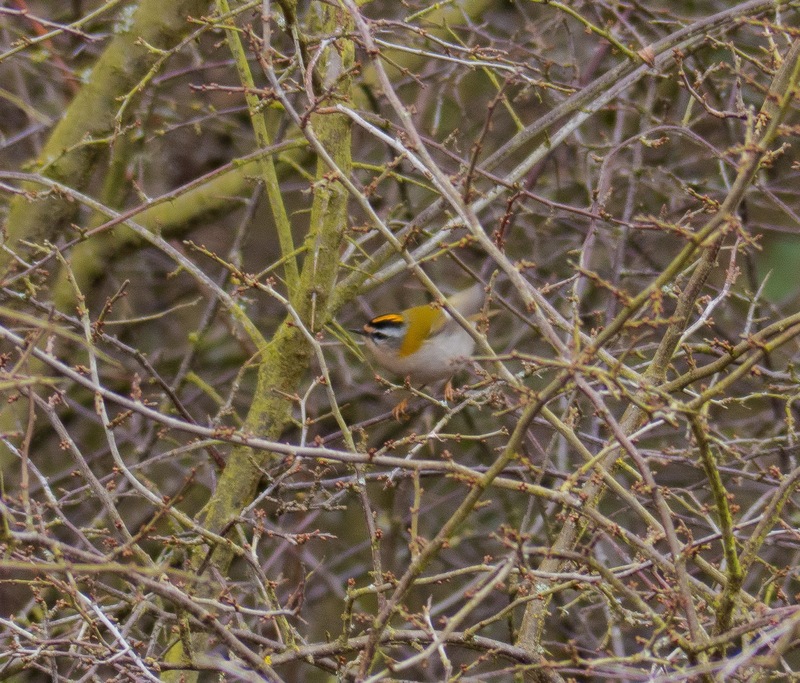 Jon, Kirsty and me decided to take it easy today and we didn't start birding until mid morning but a tweet saying a pair of Firecrests were still showing well at Thrapston Gravel pits meant we were heading straight there. We parked up in the town lake car park and walked along the river Nene towards the birds location stopping briefly to admire a couple of Kingfishers along the way and in no time we found ourselves on the footbridge across the river to be greeted by a handful of birders all looking pleased. We saw the Firecrests within minutes of arriving and we spent most of the day there trying (and failing) to get pics. The little gems kept flitting among the undergrowth and trying to get a clear shot was proving to be a nightmare and in the end me and Jon decided to wait in a sheltered area where the birds were frequenting. Kirsty walked off along the back of the hedge while we tried in vain snapping away but all the shots were either out of focus, behind branches or of their backs! While we waited patiently for the Firecrests to reappear we noticed Kirsty walk back to the gate near where we were standing and her smile said it all - below is her stunning picture!! 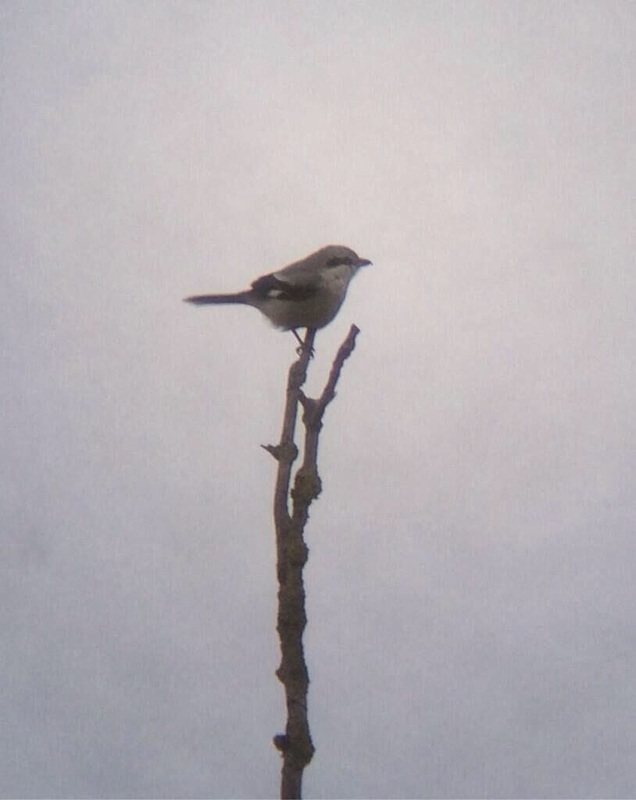 After leaving the site we headed for Lowick to see the long staying Great Grey Shrike that had been very elusive for a lot of the local birders. I have no idea what we have done to deserve such luck but as we walked along the footpath where it had been seen Jon pointed up into the sky and the Great Grey Shrike flew over our heads and landed in a tree right infront of us! Here's a ropey record shot of it. The week after (1st of March) we had a special trip planned into North Wales as some of the birds here were proving to be too good an opportunity to miss. After a very early start me, Jon and Kirsty and Sam were on our way to LLangollen with the hope of getting there at sunrise. Despite the highways agency trying it's best to stop us (night time road closures on the M6) we somehow managed to get to Worlds End at dawn and it was looking like it was going to be a beautiful day with hardly a cloud in the sky and a layer of sharp frost over the ground. 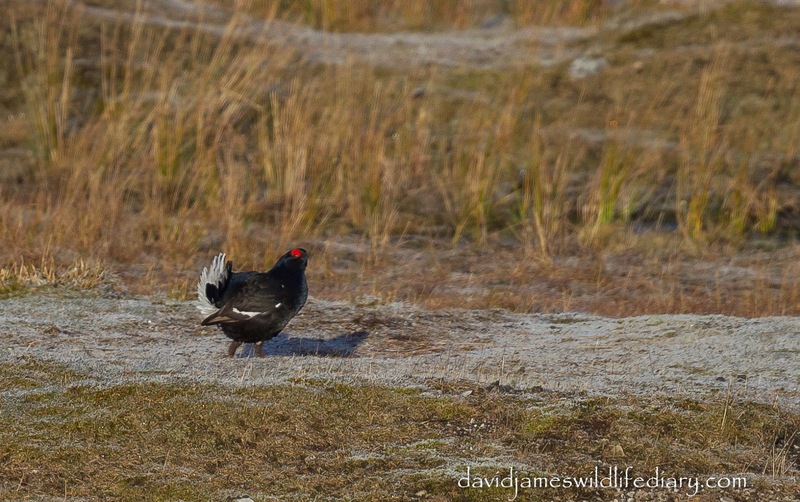 The target here was lekking Black Grouse and the area certainly didn't disappoint! 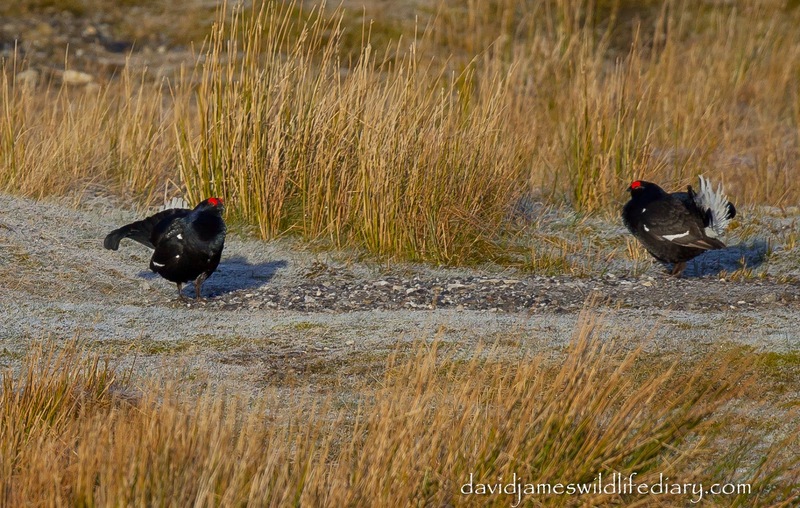 Just about wherever you were along the road you could pull over, wind the window down and hear the strange noise the male Black Grouse make when performing their dance. We didn't have to search too hard before finding a few in a clearing by the road and a lek of 11 birds could be seen higher up the hill. 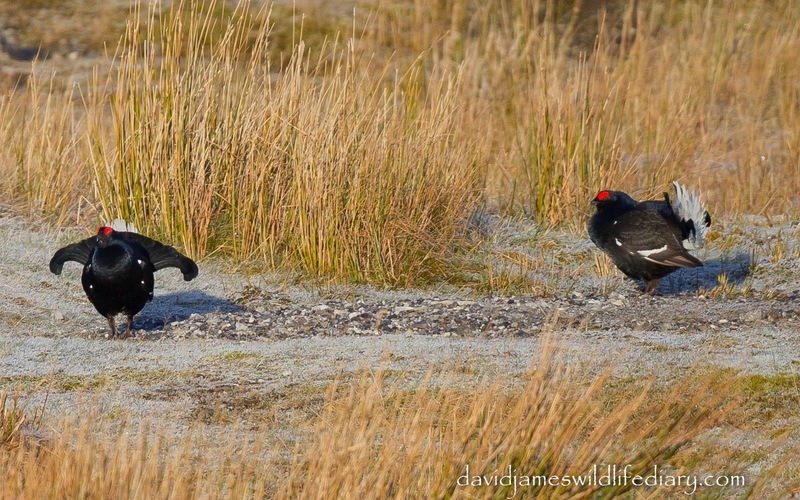 Further down the road though a lek was taking place right next to us. We had amazing views as we watched the show from inside the car and the bright sunshine also made getting pics possible too! We finally tore ourselves away from the amazing spectacle and headed to Pensarn on the North Wales coast with the hope of seeing some of the drake Surf Scoters that had been present. We found the town and after various wrong turns we found the promenade and the cafe and set up the scopes. Within a few minutes I had two very dapper looking Surf Scoters in amongst thousands (and I do mean thousands, I have never seen so many Common Scoter in my life!) of Common Scoters. Their white flashes on the head shone like a beacon in the glorious bright sunshine and the light wind also helped considerably too. Every now and then they'd turn their heads and the huge orange bill would gleam in the sun! These absolutely made my day being a lifer and I got this very ropey record shot below. In fact it's so bad I'm not sure why I'm even sharing it it's so bad but I guess it's a record, the birds were too distant for even effective phonescoping so this is a still from a vid. If you look carefully you can just see the white flashes on the birds heads. We then headed around the coast after a tip off from a Facebook friend (thanks Matt Potter!) 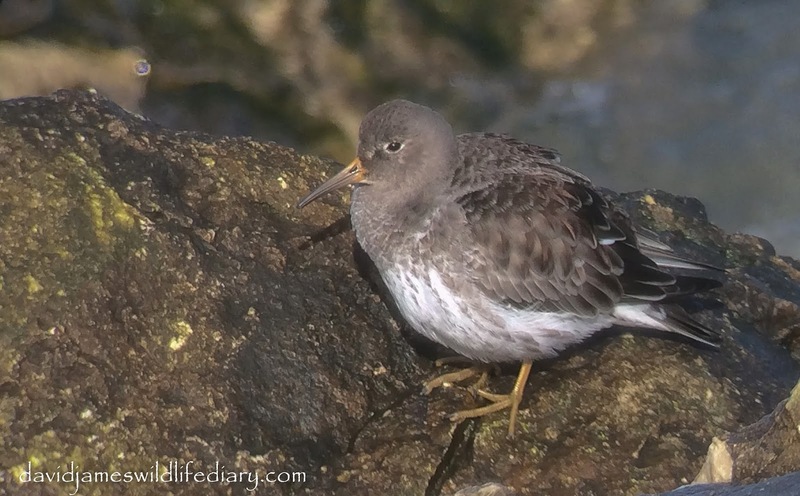 to look for Purple Sandpipers and after scanning a few of the Turnstone flocks we found a small flock of 7 Purple Sandpipers right by the side of the path. Once again they looked great in the light. I also couldn't resist getting a phonescoped video of one too, as always play on the best quality possoble. From here we headed inland to LLanbebedt-y-cennin for Hawfinch. We arrived in the village and headed to the church but despite all the Yew trees having calling Hawfinch in we didn't really get a view good enough for a shot. I had a tantalising glimpse of a couple perched in the top of some trees but it was short lived as they flew shortly after. We headed to the local pub to relate what a great day it had been and warm ourselves with some pub food. During the weeks after The weather really improved and the first large numbers of Butterflies were seen, as were the first of the summer bird migrants. As I sat in the garden on the 9th of March I had a surprise in the shape of a Yellow Wagtail flying above me calling it's head off! 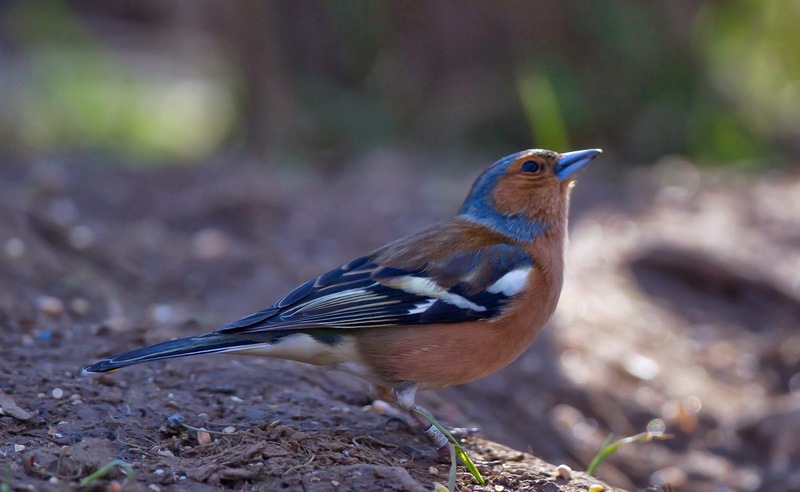 It turns out this bird beat the previous county record by 24 hours as until this the earliest ever recorded in Northants was on the 10th of March 1975. 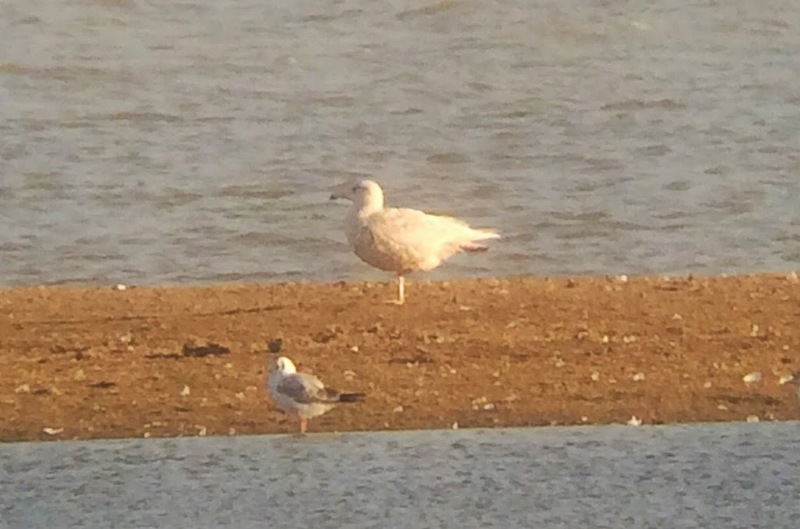 Also a stonking 2nd winter Glaucous Gull turned up briefly at Clifford Hill gravel pits while Sam and me was there. It had a preen and then shot off almost as quickly as it arrived. A record shot is below. As the weather was continuing to be good we then decided to go for a very special reptile - the Adder! 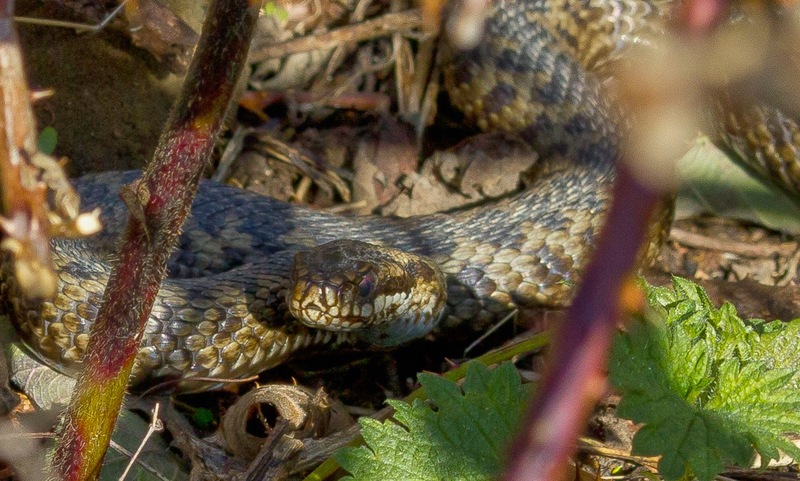 On the 16th of March me, Jon and Kirsty headed up Ketton Quarry in Leicestershire arriving nice and early and got straight to work in trying to find the snakes. Unfortunately a cloud went over the sun and the temperature dropped significantly so we headed off the Stamford to have breakfast and then headed back to find fellow Northants birders Frank Porch and Sharon Johnson already there and they had already found an Adder. Great stuff! 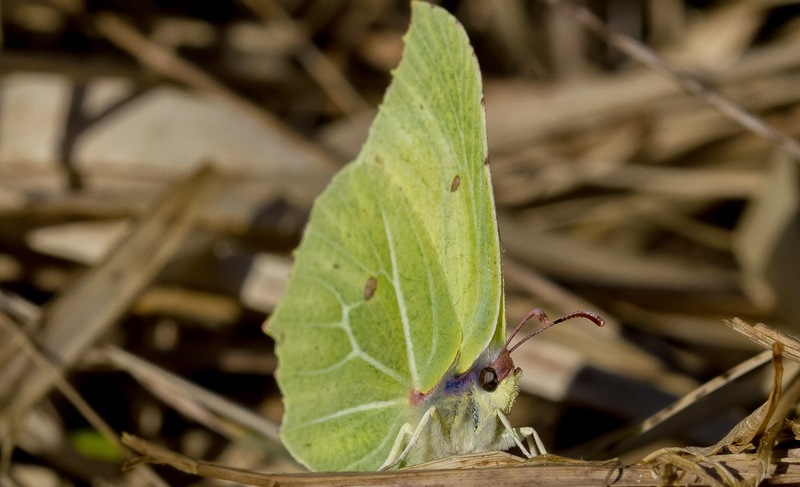 We spent a while snapping away at them before exploring the area as the amount of Brimstone's flying around was staggering! Lots of Small Tortoiseshells, Peacocks and Commas were present too. 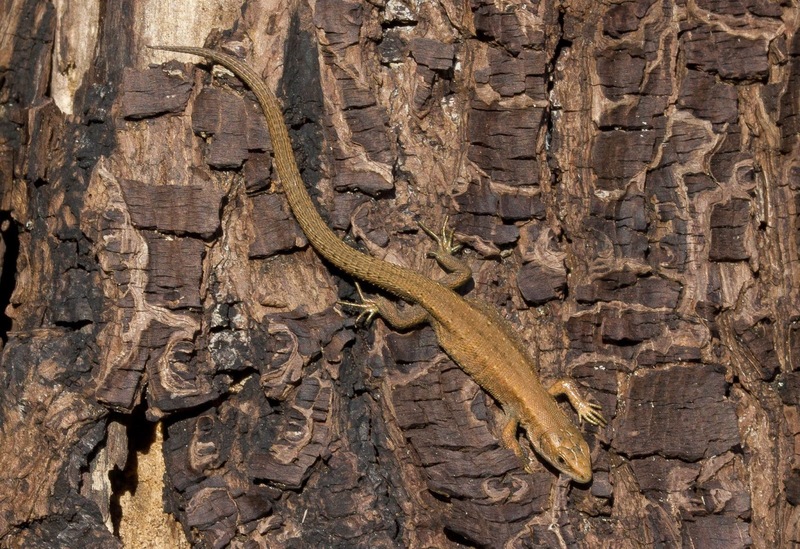 On a stump a couple of Common Lizards were sunning themselves too and showing very well indeed! Even allowing me to start doing macro shots while they basked. 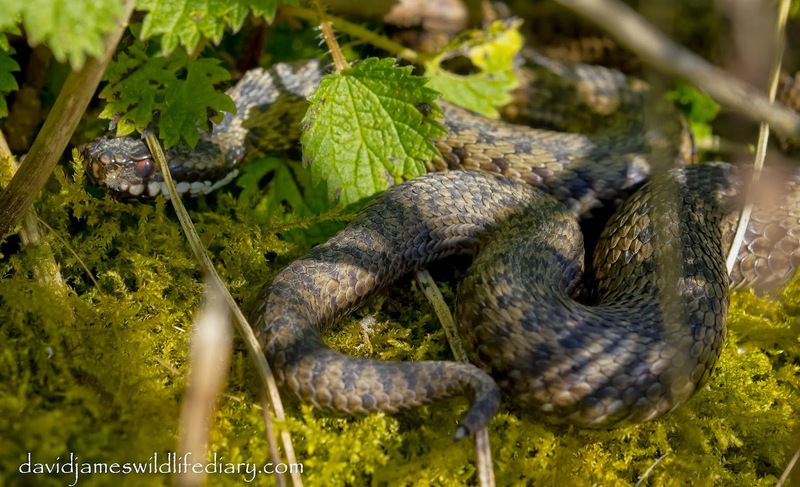 We then returned to the Adders and tried to get some more pics. They're very difficult to get clear shots of as they spend most of their time in the undergrowth but here's the days best efforts. In total we saw at least 3 males and 1 female and we are looking forward to coming back soon to see them again. We left here and spent the rest of the birding day at Rutland Water taking in the views of the Garganey in lagoon 3 and Jon very kindly let me use his lens at the feeding station. I love taking pics of some of the common birds at this time of year when they're all looking at their absolute best. 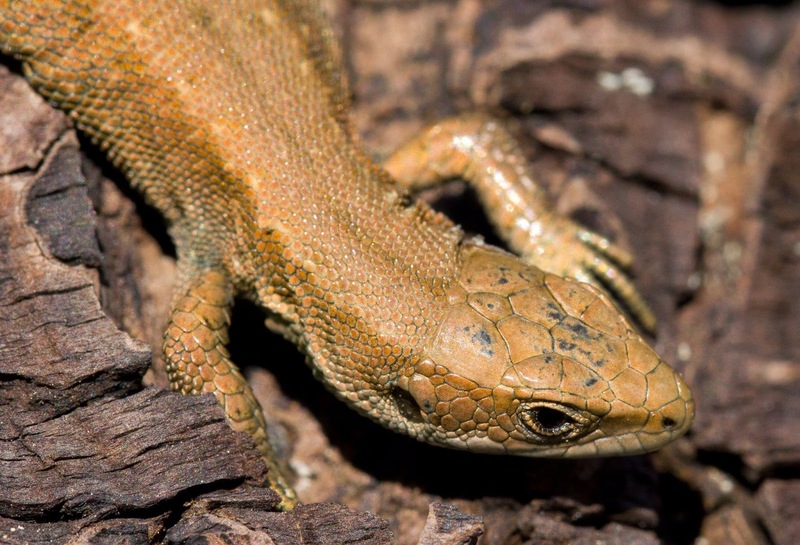 Today (17th of March) I have been wandering the local reserves. I didn't see much out of the ordinary but as always it was nice to be out. I did spend some time pondering what this year will be like? 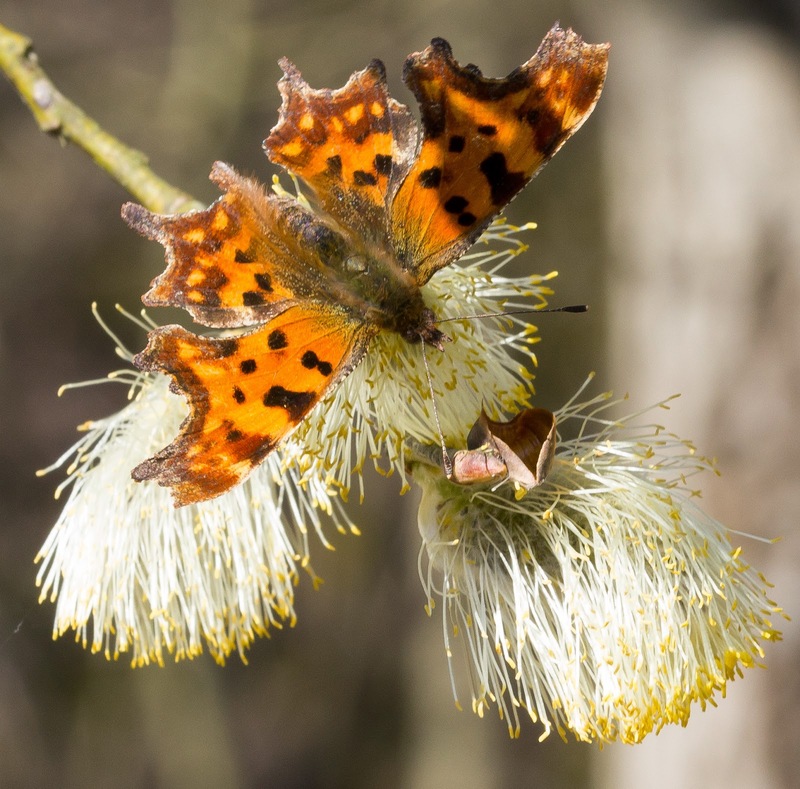 The weather will play a big part as butterflies are high on the itinerary so lets hope the next few months are kind. 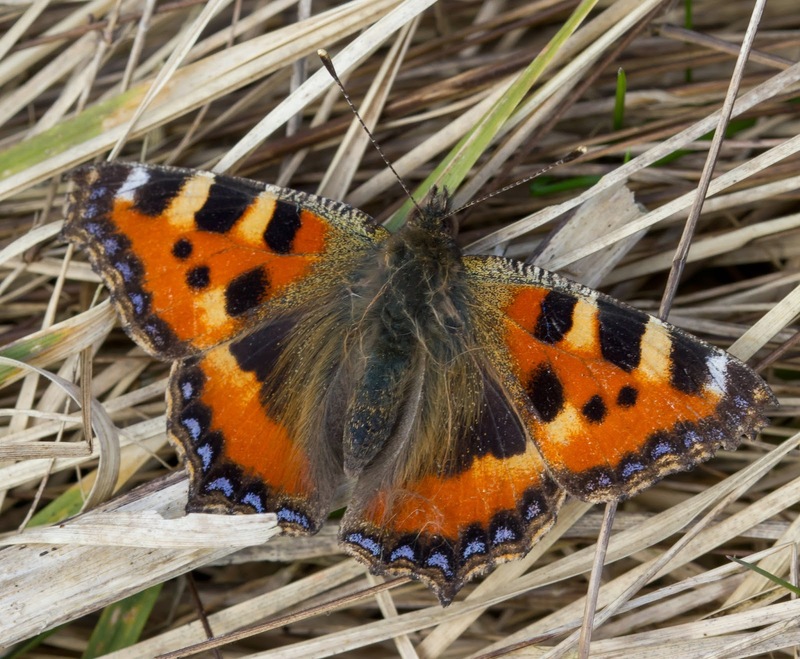 I'll leave this post with a rather nice looking Small Tortoiseshell seen this afternoon at Grange Park.